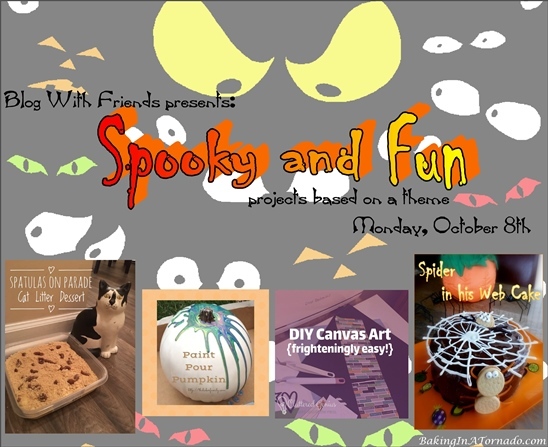 This month's theme is Spooky and Fun. I made a Spider in his Web Cake. What? Spooky and Fun as a theme? I'm there. 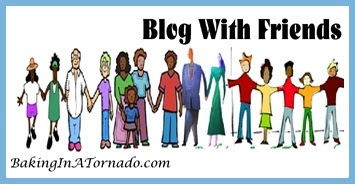 Of course I'm always there for these Blog With Friends posts. And now that I think of it, I'm always there with the spooky and fun recipes throughout the month of October. But nothing makes me smile like interpreting Halloween themes into recipes. It's the challenge, but it's also just the pure fun of playing with food. Literally. Today's recipe is really less of a recipe and more of a decoration tutorial. It's versatile, so make this any way you want. I chose to make a chocolate cake and frosting, white bark or candy melt spider web and a Golden Oreo spider. You could also make a white or vanilla cake with light frosting and make the spider web from chocolate and use a chocolate Oreo. 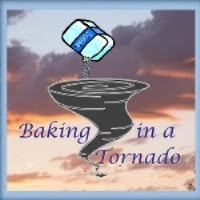 You also can make your cake from scratch, like I did for my Jolt of Coffee Chocolate Cake or enhance a boxed mix like I did for my Cookie Frosted Cake. The same holds true for frosting, make it from scratch like I did for my Peanut Butter Cup Squares, or enhance canned frosting as I did on my Raspberry Swirl Halloween Cake. Either way, start with a frosted cake. Since I chose chocolate, my decorations will be in white. First, make the "spider web". Measure the bottom of your cake pan and, using a marker on a piece of parchment paper, draw a circle about the same size. Once the marker is dry, turn the parchment upside down on a flat surface. You can see the circle from the top now. Melt 1 ounce of white candy melts or vanilla bark and close into a sandwich bag. Snip a small piece of the bag from the corner and pipe the bark around the circle you drew on the parchment paper. Next pipe lines from the inside to the outside, then in waves around the inside of the circle. 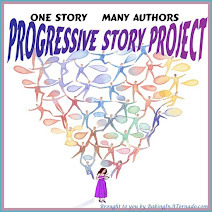 This does not have to be precise. Using a paper towel, completely wipe off about a 2 inch square hole in your web. This is where you'll later place one of the spiders. Carefully place the web in the refrigerator to set. Meanwhile, place 5 small dabs of the remaining melted bark onto one end of an Oreo. Stick candy eyes (or mini M&Ms) onto the cookie. Set aside to set. Cut two 1 inch pieces and two 2 inch pieces of the pull 'n peel candy ropes to use for spider legs. In the same way, make a full spider using the remaining oreos, eyes and candy ropes. Then assemble. Carefully, using a large spatula, place the spider web onto the cake. Gently push the "spider" into the cake at an angle where the hole is. Place one short "leg" and one longer one on either side of the spider so it looks like it's crawling out of the cake. Press the second spider into the side of the cake. 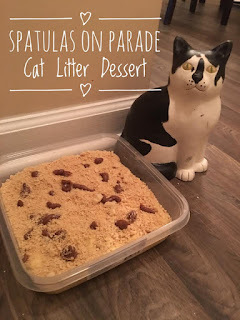 Spatulas on Parade shares the recipe for her edible Cat Litter Dessert. 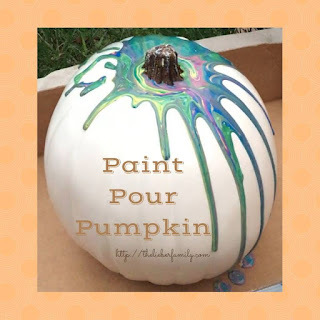 Rabia of The Lieber Family Blog shares her DIY Paint Pour Pumpkin project. 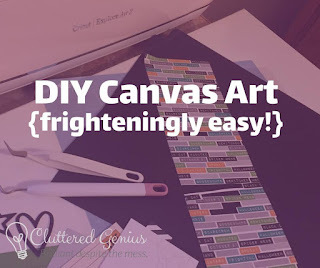 Lydia of Cluttered Genius shares her DIY Canvas Art project. NOTE: You can bake a cake from scratch, like I did for my Jolt of Coffee Chocolate Cake. Recipe HERE. Or you can enhance a boxed mix like I did for my Cookie Frosted Cake. Recipe HERE. The same holds for frosting. You can make it from scratch as I used for my Peanut Butter Cup Squares. Recipe HERE. Or you can enhanced canned frosting as I used on my Raspberry Swirl Halloween Cake. Recipe HERE. *Measure the bottom of your cake pan and, using a marker on a piece of parchment paper, make a circle about the same size. *Once the marker is dry, turn the parchment upside down on a flat surface. You can see the circle from the top now. 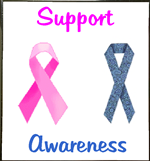 Melt 1 ounce of white candy melts or vanilla bark and close into a sandwich bag. *Snip a small piece of the bag from the corner and pipe the bark around the circle you drew on the parchment paper. Next pipe lines from the inside to the outside, then in waves around the inside of the circle. This does not have to be precise. 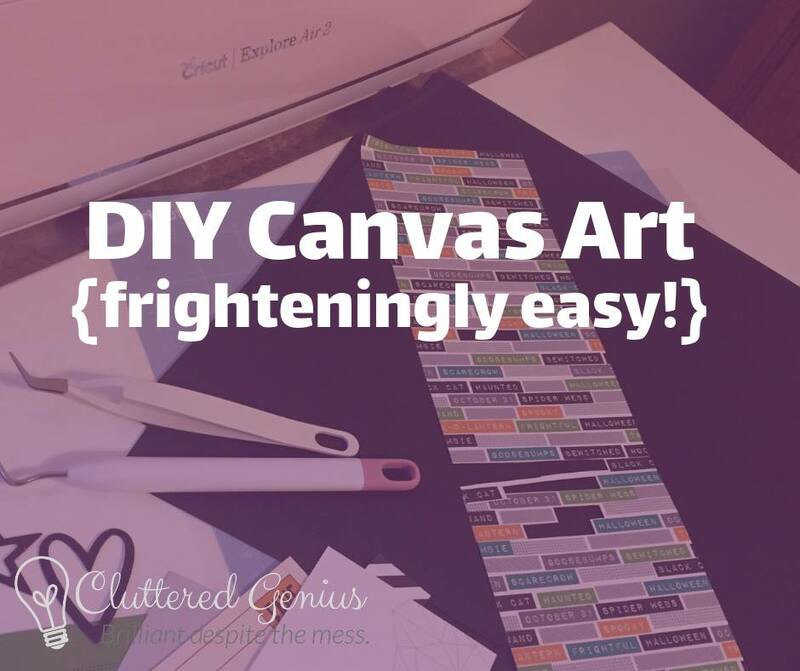 *Using a paper towel, completely wipe off about a 2 inch square hole in your web. This is where you'll later place the spider. Carefully place the web in the refrigerator to set. *Meanwhile, place 5 small dabs of the melted bark onto one end of an Oreo. Stick candy eyes (or mini M&Ms) onto the cookie. Set aside to set. Attach 2 eyes to one of the remaining Oreos. *Cut two 1 inch pieces and ten 2 inch pieces of the pull 'n peel candy ropes to use for spider legs. *To assemble, carefully, using a large spatula, place the spider web onto the cake. Gently push the "spider" with 5 eyes into the cake at an angle where the hole is. Place one short "leg" and one longer one on either side of the spider so it looks like it's crawling out of the cake. Press the second spider into the side of the cake. My kids would love this. We're doing it! That's great. Let me know when you do! So adorable! The candy bits and pieces you use to decorate, I am afraid I would be munching and less would be going on the cake than in my mouth. Well, I'm not going to say that didn't happen here too. So cute and the jolt of coffee chocolate cake sounds like something I would LOVE. Yes, perfect for all of my coffee loving friends. That's pretty rare among my friends. Although for this recipe you can use any cake you want. And an edible spider at that.